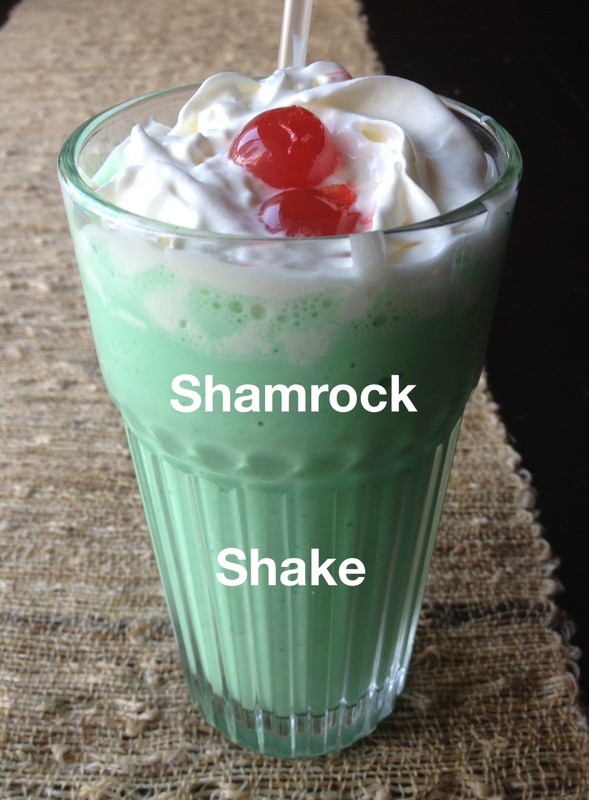 People search far and wide for this shake…but it can easily be made at home. 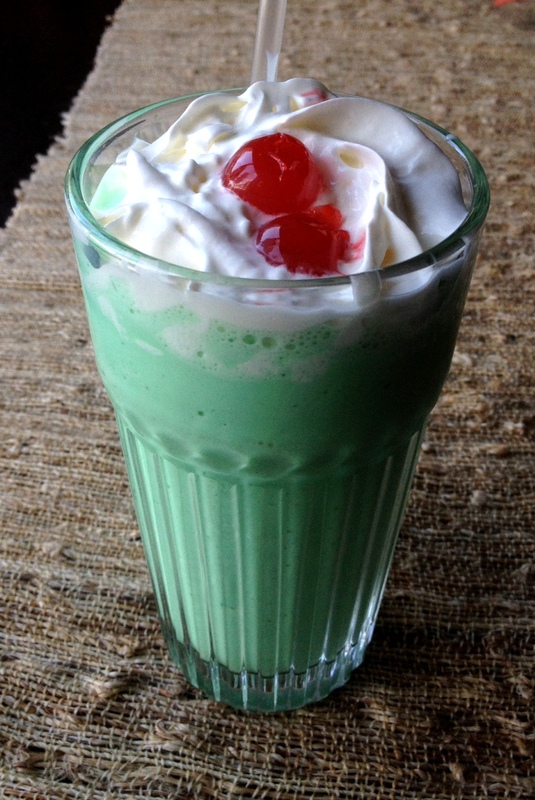 The first time I ever had a Shamrock Shake was years and years ago…I can’t remember how old I was, but I do remember my mom and I saying, “What is this?” When you have it for the first time, it is hard to pinpoint the exact flavor, it is just good. Oddly enough, once you figure out the ingredients it’s dangerously simple to make at home. 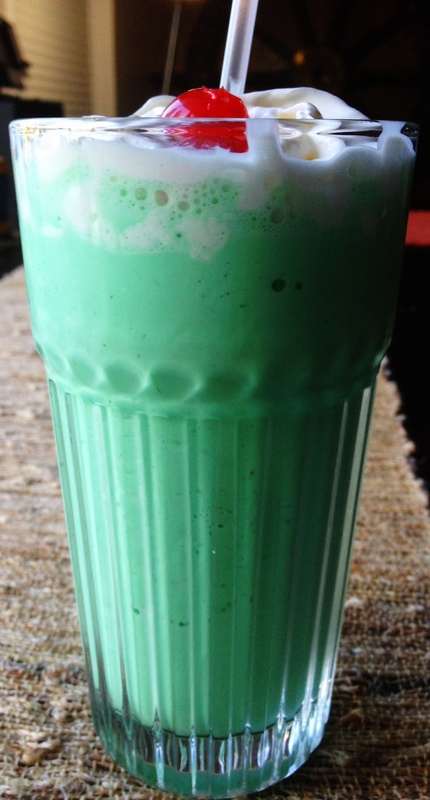 Although not an exact replica of the classic Shamrock Shake, this baby is still good. For me, homemade milkshakes HAVE to be made with some ice. It’s just better that way, and my mom doesn’t lie. Add first five ingredients to a blender and blend until thick and smooth. If shake is too thin, add a bit more ice cream. If it’s too thick, add a small splash of milk or another ice cube. Pour in a glass, add whipped cream and maraschino cherries to the top. Enjoy, and be happy you didn’t sit in the drive thru.